Happy first day of classes, everybody! We hope your spring semester is off to a great — albeit freezing — start. To celebrate the fact that you’re back on campus, we’re hosting a back-to-school challenge on Snapchat. We’ve placed a special filter at each of our campuses and centers this week. 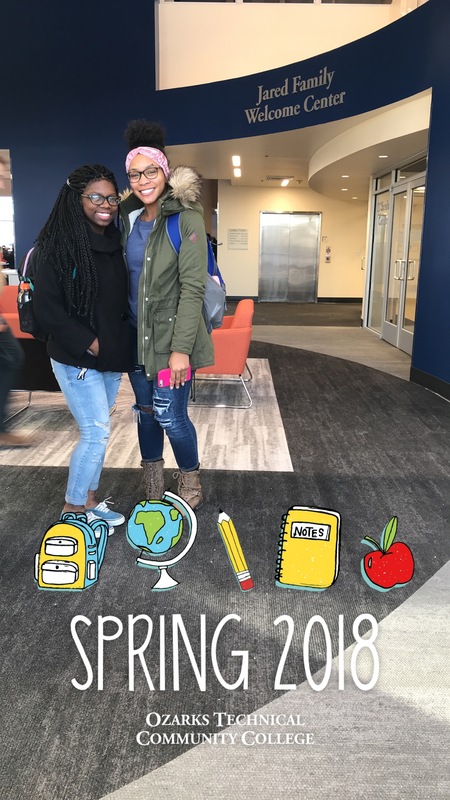 Use the filter to let us know how your first week is going, and there’s a chance you could win some pretty cool prizes from OTC’s Communications and Marketing department. Follow OTC on Snapchat (username: ozarkstech, you can also use our Snapcode above). Snap a selfie or send us a video of how your first week is going (the more creative, the better). 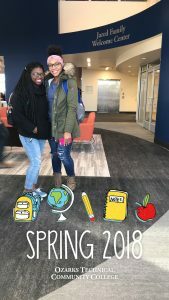 Swipe, find and use our Spring 2018 filter. Post the snap to your story and send it directly to OTC, too (that’s important). Wait for a reply from OTC. If you get a reply, you’ve won. And that’s it. Now, go and have an awesome spring semester.